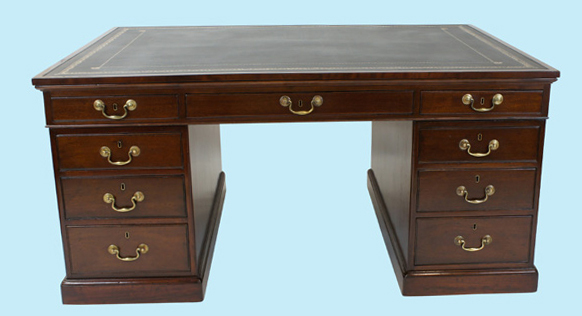 A very handsome large antique partners desk made from good quality mahogany timbers with a beautiful rich mahogany colour. 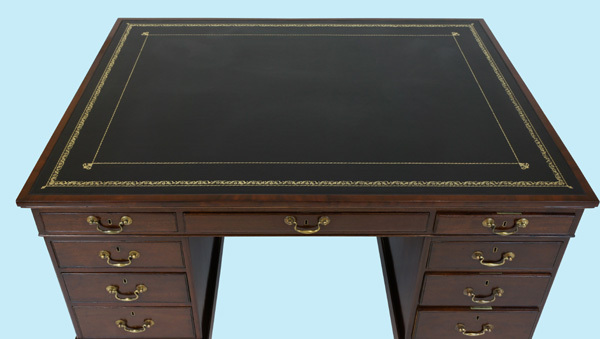 This beautiful desk has benefitted from professional restoration including traditional french polishing and waxing and a replacement black hide writing surface with gilt and black tooling. 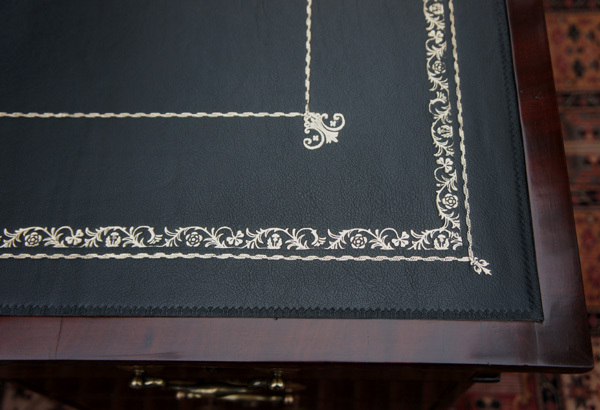 The writing surface is surrounded by a band of mahogany and there is a writing slide to one side which pulls out to extend the surface area by 25 inches (63cm). 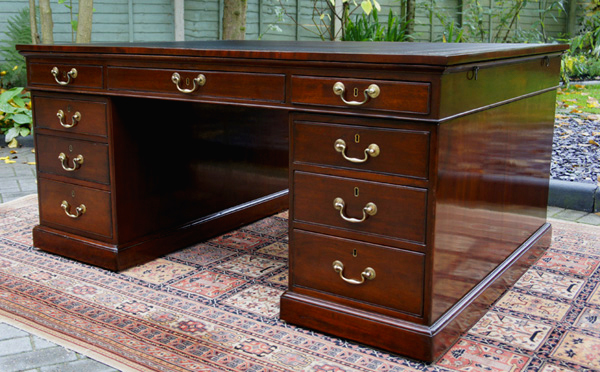 A very handsome large antique partners desk made from good quality mahogany timbers with a beautiful rich mahogany colour. which pulls out to extend the surface area by 25 inches (63cm). three drawers to the front and back making a total of 18 drawers. 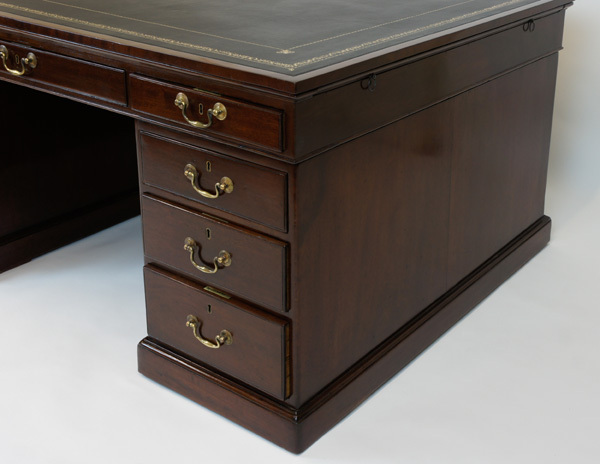 with faux cockbead, brass locks and swan neck brass handles. and the pedestals stand on plinth bases with hidden castors.